Kwanzaa is celebrated in the US from December 26 to January 1. See the associated wikipedia page for more info. USPS has issued several stamps over the years. 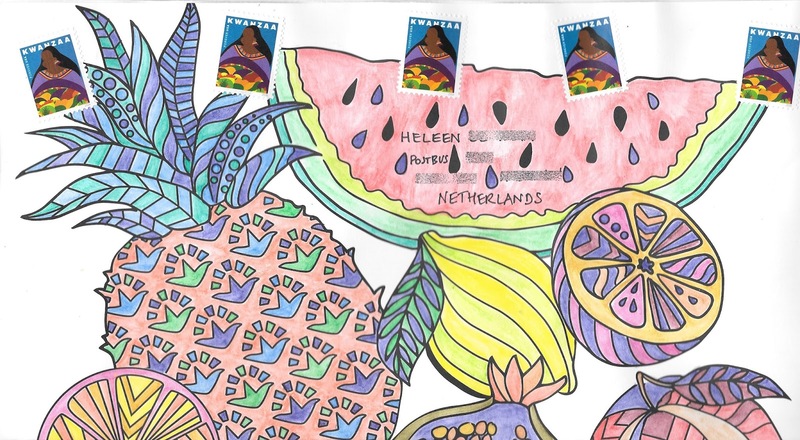 The current one, issued in 2016, caught Heleen's eye, and she had asked me (a long time ago) to send her some on mail. 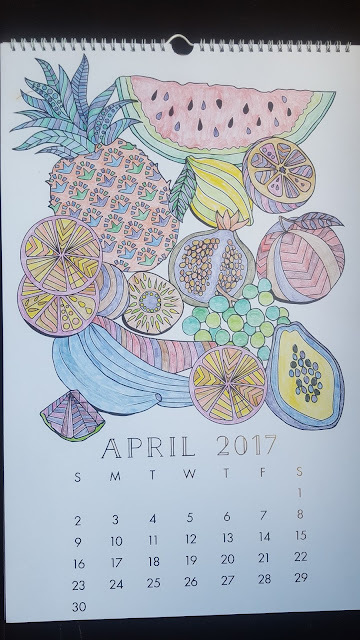 I hadn't forgotten, and I thought this page of fruit from a coloring calendar would work with the stamps. 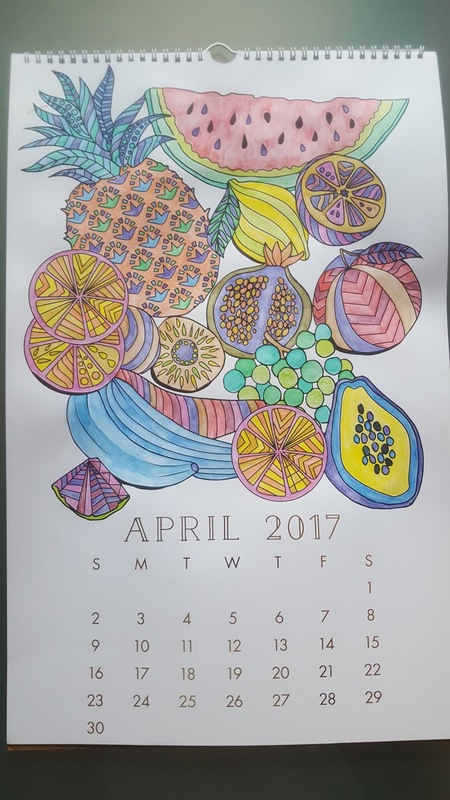 I used inktense pencils to color the page, then afterwards went over it with a wet paintbrush to bring out the colors. I had received this stamp, but it is only now that I have read about it. I like the design, abstract in a way, as so colourful. The result of your envelope is great, and matches perfectly. Thanks, these always take a while to finish, but the result has been worth it so far. The envelope does work well with this stamp. Though, I will admit, I find faceless people to be a little disturbing. I had never really thought about this - I'll have to look for more faceless people on stamps. Oh yes perfect stamp/envelope combination. I like the colourful stamp, I think the faceless people aspect works better in her crowd scenes as the first question I pondered on seeing the void on the stamp was what it meant and did it have a deeper meaning beyond me. I suppose the lack of facial details could mean that it represents anyone and everyone. Thank you again so much for this wonderful mail! Holding the envelope in my hands now, I can confirm that in real the colours are even more intense and bright. Happy with the Kwanzaa stamps, too! So thoughtful, thank you! p.s. I´m happy that you posted it, as I was in doubt whether to post it for today´s Sunday Stamps or not. As Kwanzaa is not known here, and as you posted the stamps fortunately here, I chose some other subjects. Glad you liked this mailing. And it wouldn't be a problem to choose the same the thing for this letter... I always like to see how well a piece has traveled. I must test my daughter who lives in the USA on whether she knows of Kwanzaa - I didn't. Fine stamp - and calendar. And, did your daughter know, Bob?